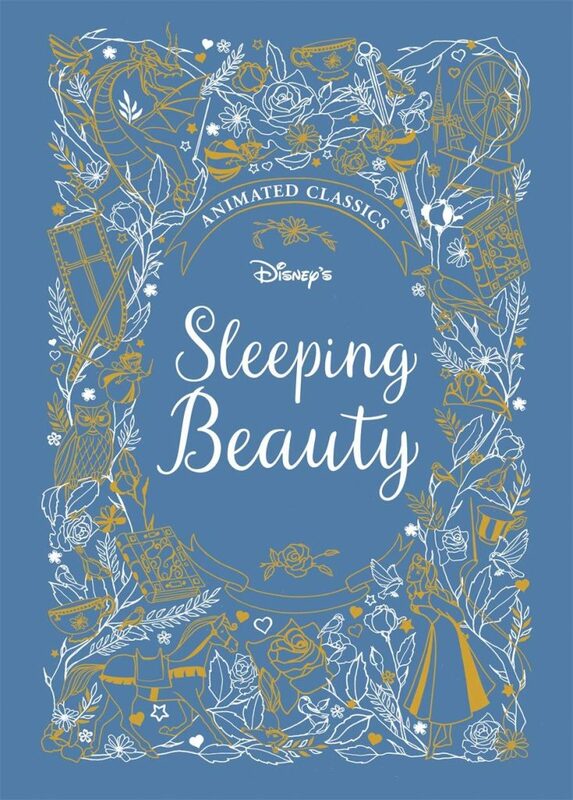 These beautiful hardbacks tell the stories of Sleeping Beauty and Snow White and the Seven Dwarfs using illustrations from the Walt Disney films. Although we are familiar with the stories we haven’t seen either of the films and it is interesting to see how the Disney versions differ to the stories that we have in our books. The sturdy covers are embossed with shiny gold and red illustrations. They’re fascinating to look at and feature many elements of the story with a picture of the main character at the bottom right. The pages are thick with a creamy coloured background and we really enjoyed looking at the illustrations which also incorporate stills, sketches, storyboards and concept art from the original studio artists. They provide a fabulous insight into how the films were created and developed. Sleeping Beauty: At baby Aurora’s christening evil fairy, Maleficent, casts a spell that will cause her to prick her finger on a spindle and die. Three good fairies take Aurora to live in the forest to protect her but once she is back in the palace on her sixteenth birthday she is lured to a tower where she pricks her finger on a spinning wheel. The three fairies and Prince Phillip get together to find a way to defeat Maleficent and rescue Princess Aurora. There are a few differences to the story that we know, in this book Aurora lives with the fairies in the woods and shortly before she moves back to the palace she meets Prince Phillip while picking berries. Maleficent also has a very brutal comeuppance in this story. Many of the illustrations are dark and atmospheric but our favourites show the three good fairies, shown in various stages of the drawing process. My daughter likes the initial sketches of Princess Aurora dancing with Prince Phillip. This version of Snow White is more gruesome than the ones we’ve read, the dwarfs follow the wicked stepmother and play a part in her untimely end. Our versions don’t introduce the prince until the end of the story but in the Disney adaptation Snow White meets him at the beginning. There are so many wonderful line drawings in this book, many with animation comments which are absolutely fascinating to read. Our favourite illustration shows Snow White tiptoeing through the door of the Seven Dwarfs’ cottage with all the forest animals. 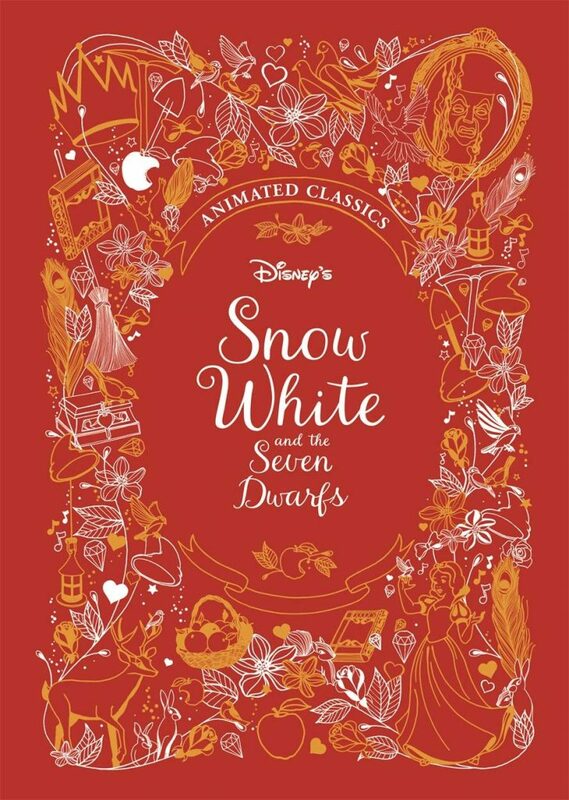 These animated classics would make lovely presents for any fans of the Disney movies. The text is easy to read and the numbered pages give the books a very ‘grown up’ feel. There are forwards by Walt Disney executives who share their memories of the films and at the end of the book we learn more about the studio artists who worked on them. A glossary provides explanations for technical words that are used for creating animations which gives us a fascinating insight into the film making process. Thank you to Studio Press Books for sending these beautiful review copies of Sleeping Beauty and Snow White and the Seven Dwarfs. They are, it’s fascinating to see the original artwork from the films. They’re fabulous for fans of the Disney films, it’s really interesting how the animations look before they are finished. The covers are lovely and include so many different elements of the story – the apple, the mirror, the spinning wheel. They are definitely the kind of books you would gift as a keepsake – birth, christening, first day of school maybe. I want to own these just because they look so beautiful!